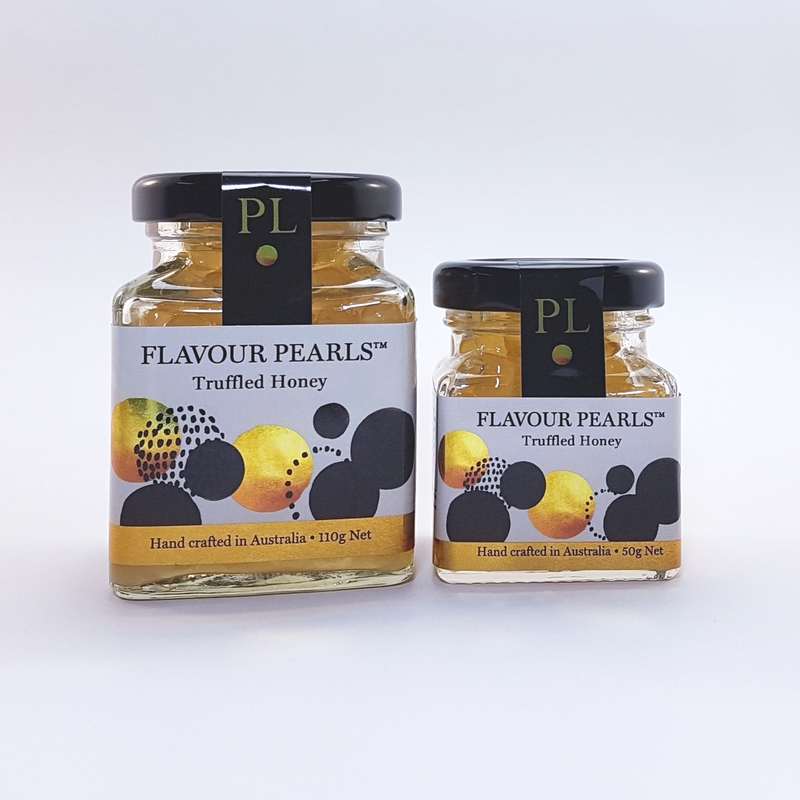 Truffled Honey Flavour Pearls with a golden colour and luxurious speckle of truffle within the pearls. Very aromatic. Add a luxurious touch to your cheeses and platters. 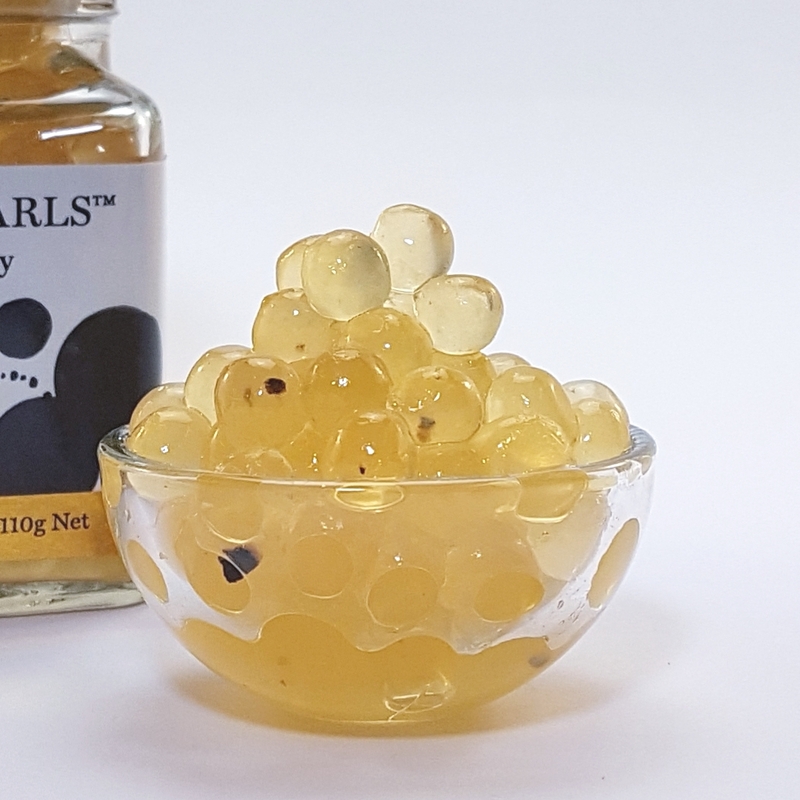 Truffled Honey Flavour Pearls with a golden colour and luxurious speckle of truffle within the pearls. Very aromatic with a lovely bursting flavour of local honey. 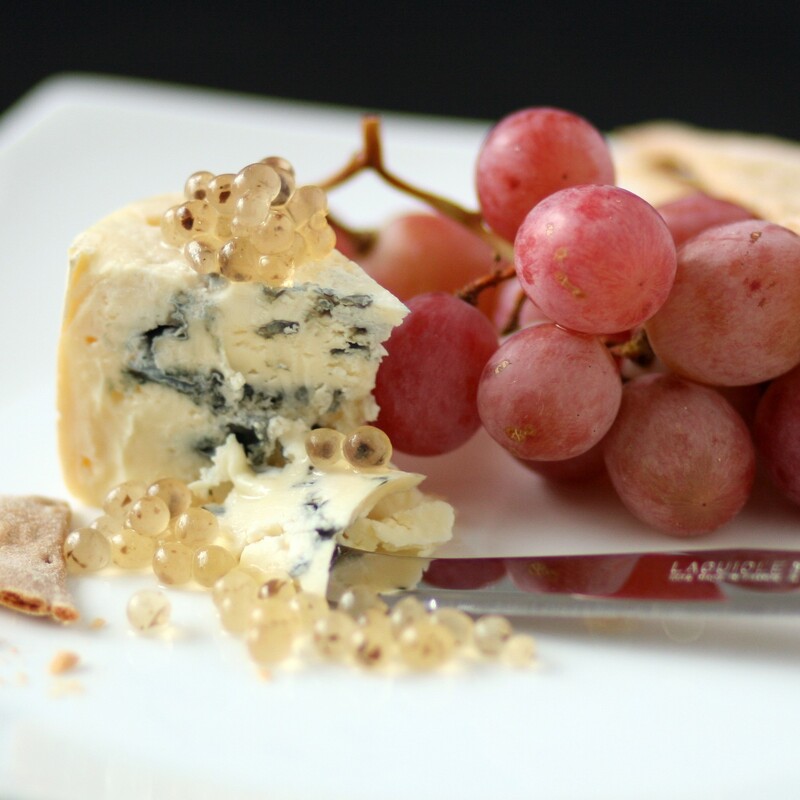 Add a luxurious touch to your cheeses and platters. *Flavour Pearls are also available in catering sizes. Would you like to become a stockist? Please contact us for more information. 10 pearls recommended per serve. Contains more than 160 pearls per jar. Contains more than 340 pearls per jar. Contains more than 650 pearls per jar.